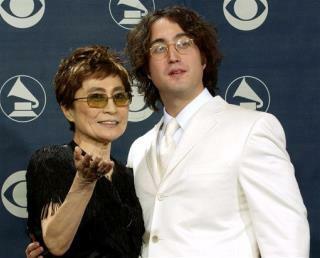 (Newser) – In the 1970s, John Lennon and Yoko Ono bought a beautiful farm in an idyllic spot in Delaware County, NY. Now some gas companies intend to "tear through our wilderness" to make room for a hydraulic fracking pipeline, their son Sean writes in the New York Times. "Natural gas has been sold as clean energy. But when the gas comes from fracturing bedrock with about 5 million gallons of toxic water per well, the word 'clean' takes on a disturbingly Orwellian tone." I think his mother and father took to much acid when his mother was pregnet. Let's hope the Lennon name has some clout left. The kids as dumb as a brick, he most likely copied that from a website. But it's true & fracking could make getting a clean glass of water a bit trying. Not to mention the ties to earthquakes! !